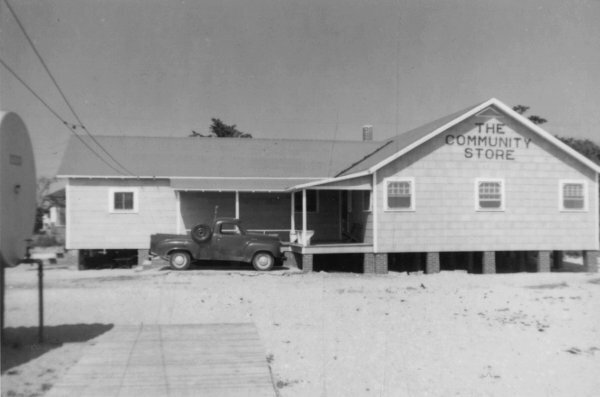 This old general store was established in 1918. 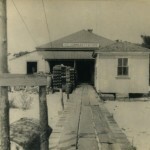 It sold groceries, vegetables, canned goods, candy, cloth by the yard, ready-made clothes, shoes, household items, hardware, fishing supplies, and feed for chickens and horses. 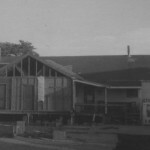 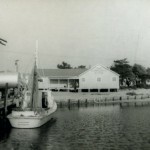 At one point a fish house and dock in the harbor were added. 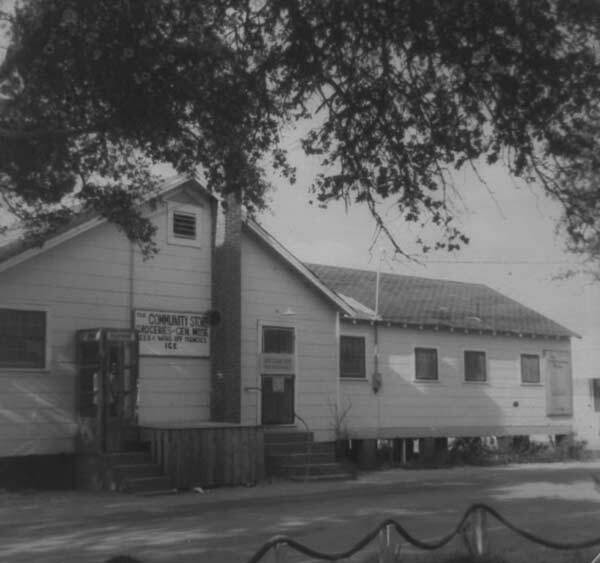 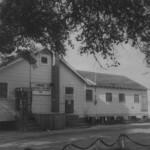 The original building, which was replaced in the early 1950s, included a porch with wooden benches. 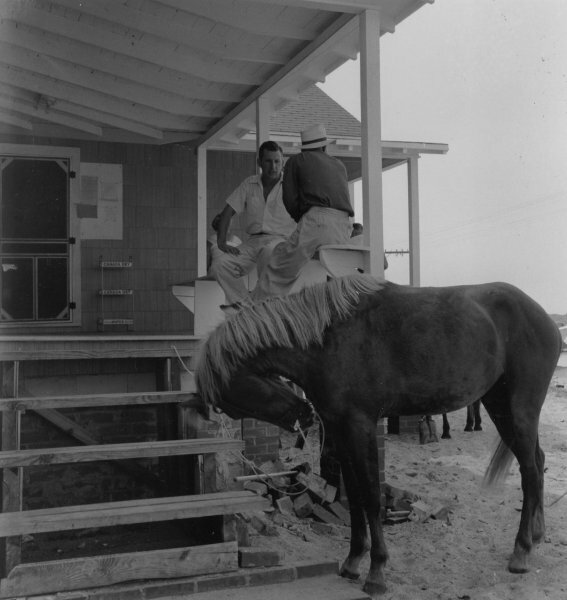 In the summer months men sat there in the shade and carved small wooden birds and swapped stories. 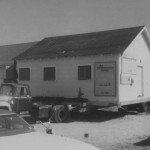 In the winter they pulled their rockers up to the large pot-bellied stove inside. 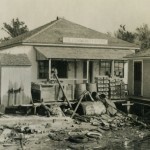 A round cheese box filled with sand served as a spittoon. 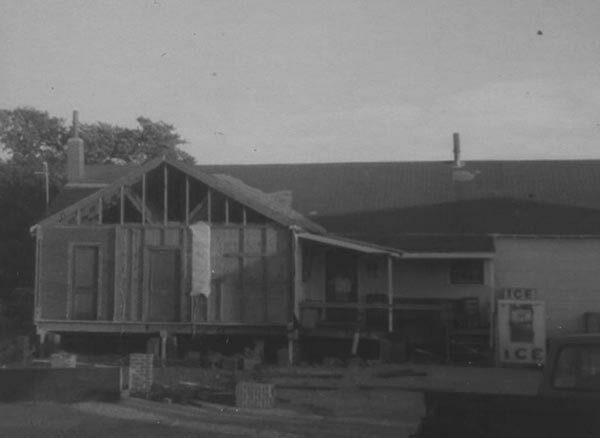 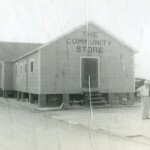 In the late 1940s the store began to carry professionally built caskets. 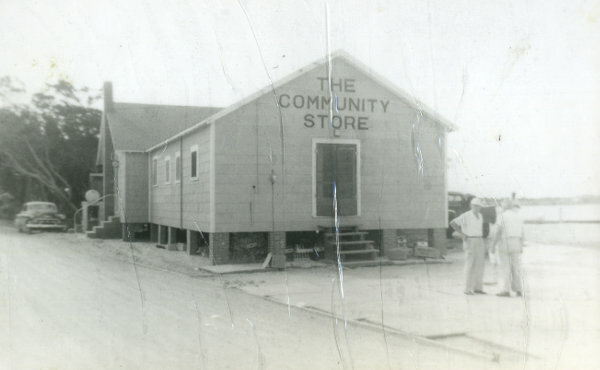 Two adult and one child’s casket were stored in a lean-to addition on the northwest side of the store. 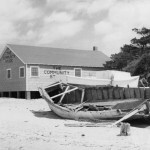 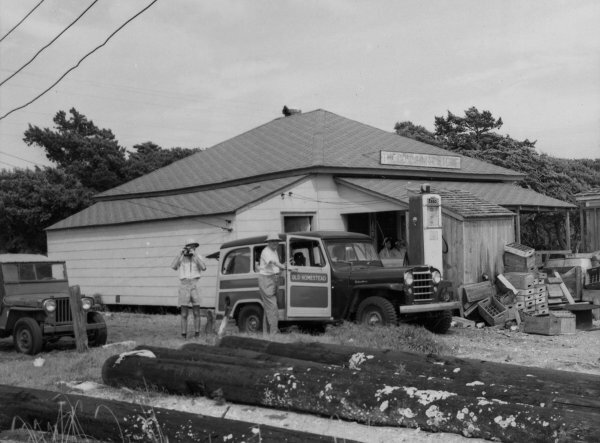 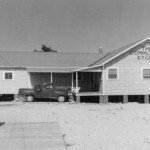 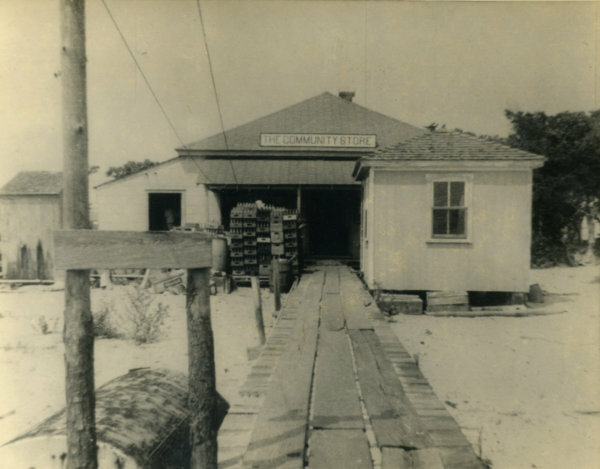 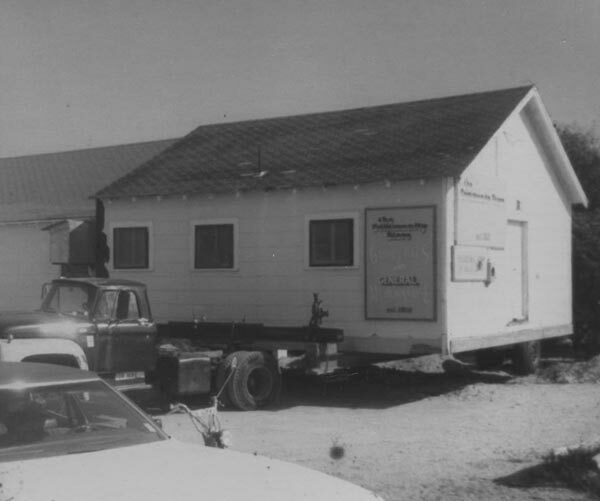 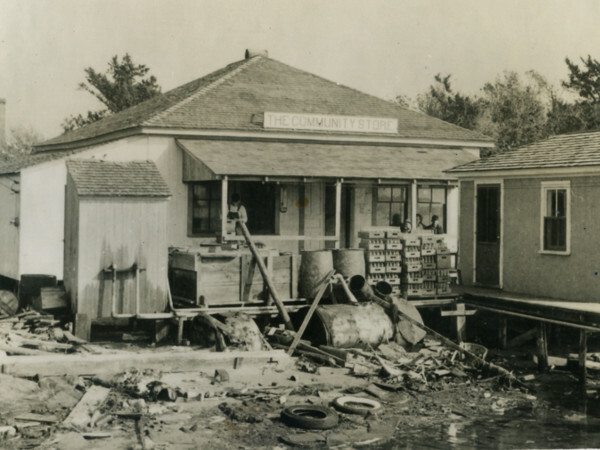 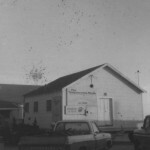 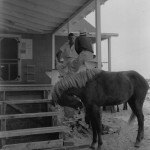 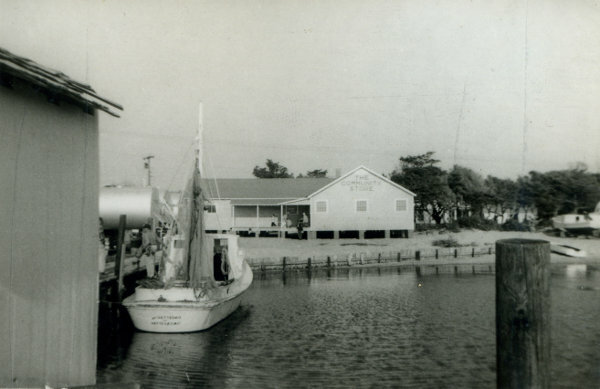 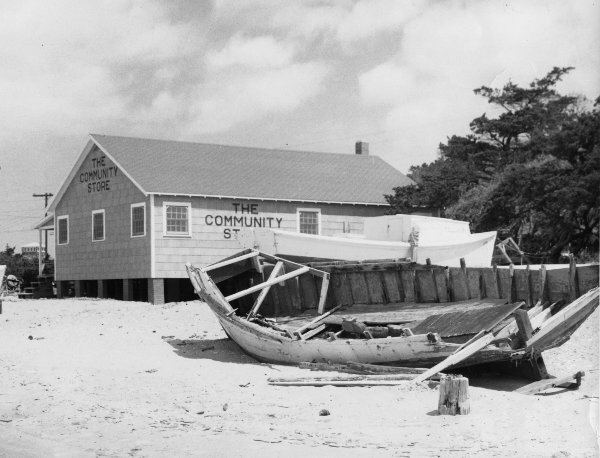 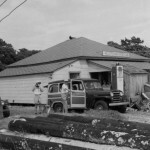 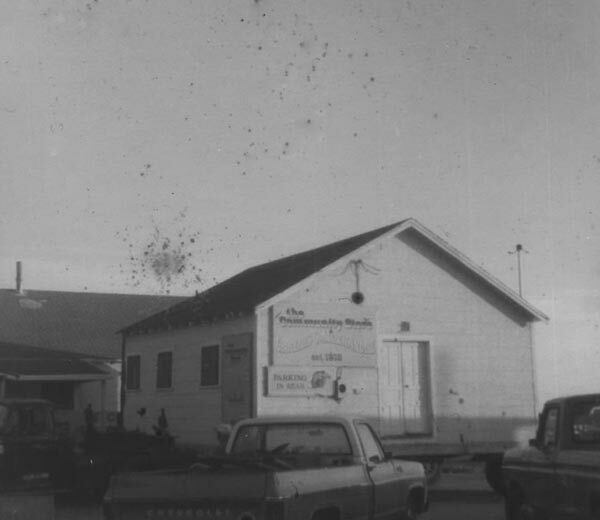 For several years, until the state of NC initiated regular ferry service across Hatteras Inlet in the late 1950s (at which time Twifords’s Funeral Home began serving the needs of Ocracokers), local residents could walk into the Community Store and purchase milk, eggs, butter and a casket! 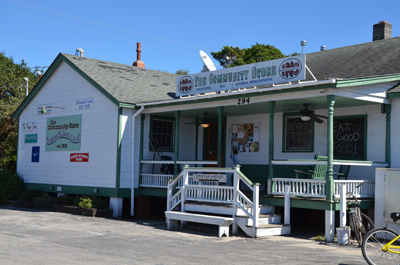 After several years of closure, the Community Store reopened its doors in 2015 as a specialty grocery store.